Hold on tight, Martians, because the Suicide Squad moves fast. When you meet rampaging dinosaurs in every issue, that’s generally a good thing! 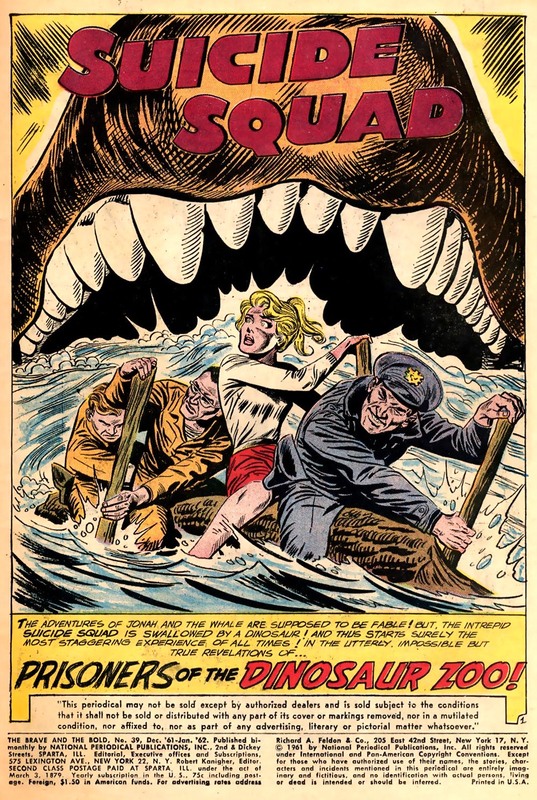 The Suicide Squad appeared in three consecutive issues of DC’s The Brave and the Bold in the dark prehistoric times known as the 1960s. We are going to share them all. – From Brave and the Bold #39; DC Comics, 1962.